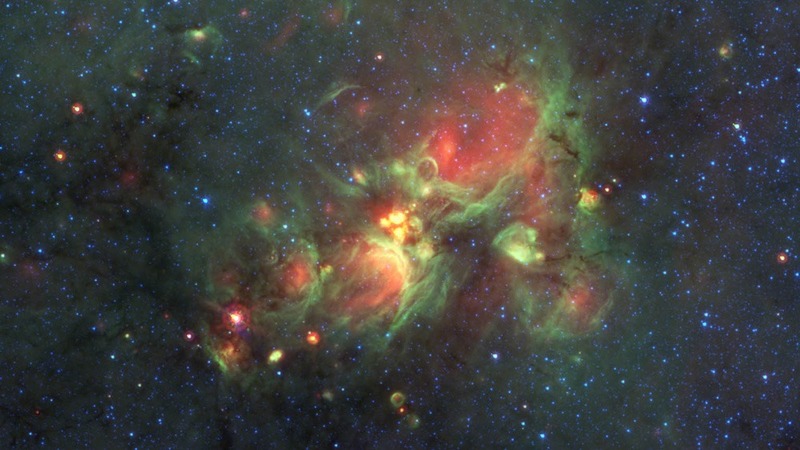 The “yellowballs” in the middle of this image from the Spitzer Space Telescope caught the attention of a volunteer classifying objects for the Milky Way Project. Image courtesy of NASA/JPL-Caltech, from the ISU release. Astrophysics is in the news at Iowa State University, with two publications out in the last week. 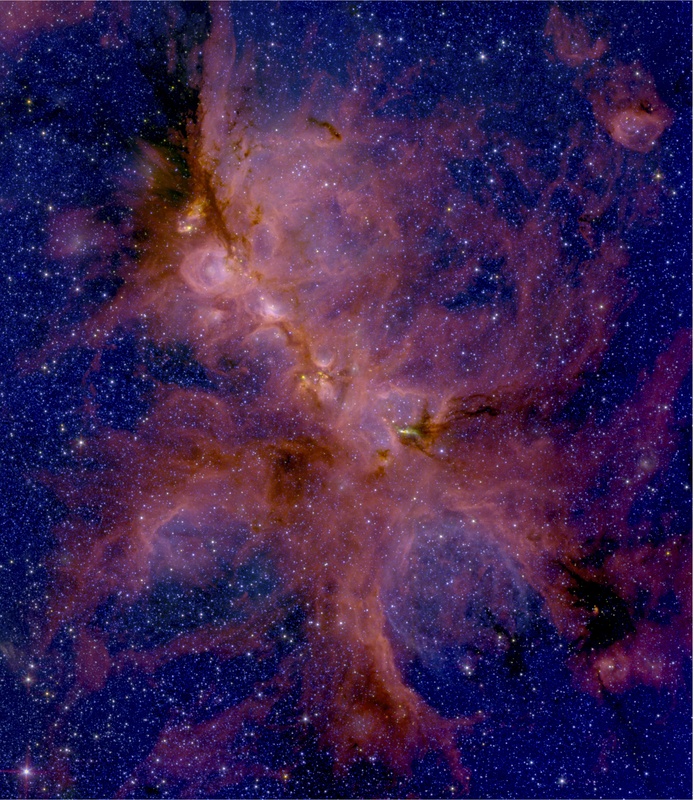 One addresses a puzzle posed by a nonscientist who was examining infrared-light images of Milky Way objects: What are those yellow balls? The answer has to do with stars’ early lives. The second goes to the other end of the galactic timeline. With help from the planet-hunting Kepler satellite, researchers identified one of the Milky Way’s oldest stars and a collection of rocky planets orbiting it.